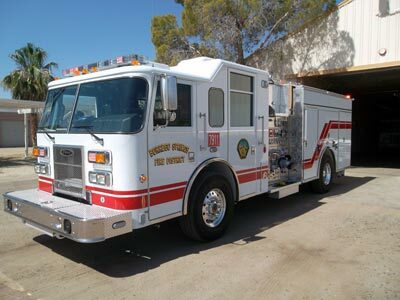 The Borrego Springs Fire Protection District dedicates its efforts and resources to serve and protect the community; enhance the quality of life and safety to the public through education, training, and commitment from each of its members. Borrego Springs is an unincorporated area of San Diego County, a Desert resort community located approximately 90 miles northeast of San Diego and is surrounded by the Anza-Borrego Desert State Park. Borrego Springs has a small town environment with a permanent population of 3000 and because of the climate and location attracts a seasonal population of 4,500 as well as one million + visitors annually.